The boat is in great condition. The color is white over maroon. 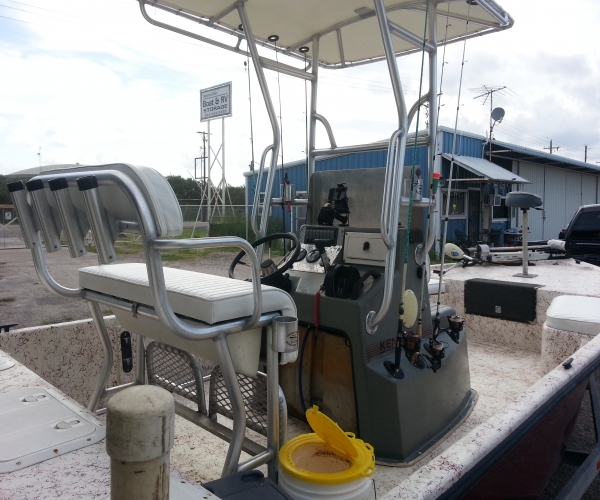 I put a brand-new top and captain’s chairs on the boat when I got it and had all the cushions redone. The boat has been completely rewired and the engine was freshened up in October of 2016. 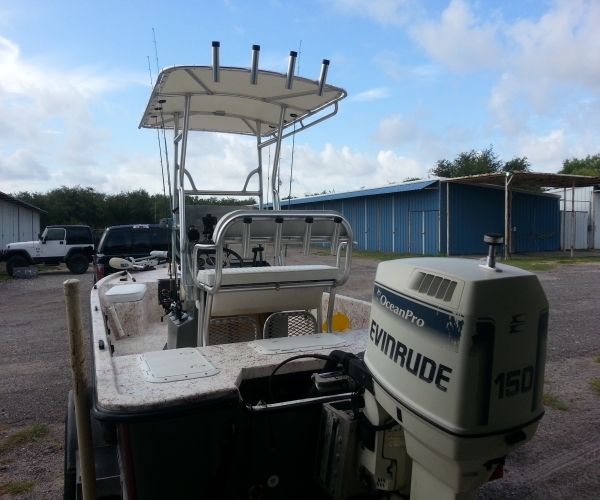 The motor is a Evinrude Ocean Pro outboard 150 that has maybe 10 hours on it after the freshening. 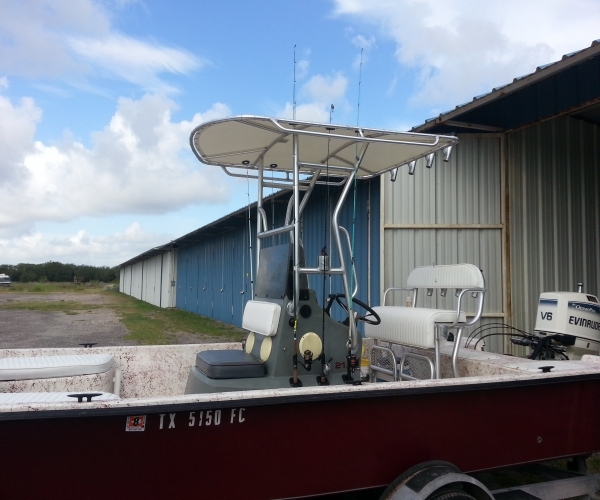 It has a jack plate for shallow water running It has a Motor Guide trolling motor and Ill throw in the new Garmin ECHO map DV. The boat has 2 live wells and plenty of storage. The boat comes with 2 spare tires and wheels, 6 new life jackets, 2 anchors, catch net and gaff, and some new hardware. 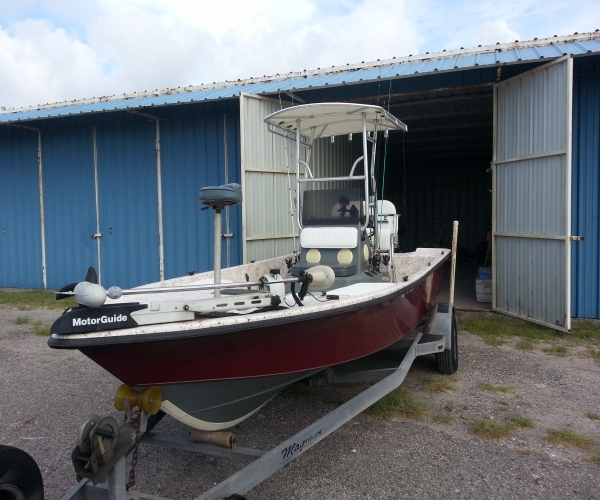 I live in Justin, Texas but keep the boat in Rockport so please serious inquiries only.